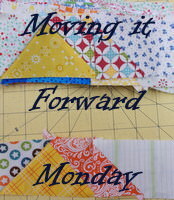 Today I'm linking up with Wendy at Sugarlane Designs for FNSI. I've talked about it plenty in the past but, in a nutshell, there are a group of us that stitch virtually once a month. Wendy has sign-ups and then we link up to share what we worked on. That way we can check in to see what everyone else has been up to. It's a great way to keep in touch with like-minded beings! We have participants from all over the world! You can see for yourself at Sugarlane Designs while you see how creative this group is! As for me, I decided to put a few more stitches on Miyoto, a sew-a-long with Jinny Beyer. Jinny is the master of hand-piecing and I wanted to join her on this mystery project. I believe it ends up being a large lap-size. Anyway, I chose my kit from her four colorways -- blue/teal. It's a beautiful selection of fabrics. We are on Clue #3 and there's quite a bit to accomplish this month. 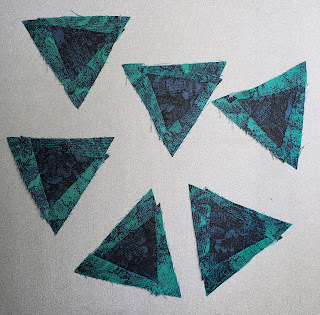 It starts with six triangles that you are to sew five rings around, log-cabin-wise. 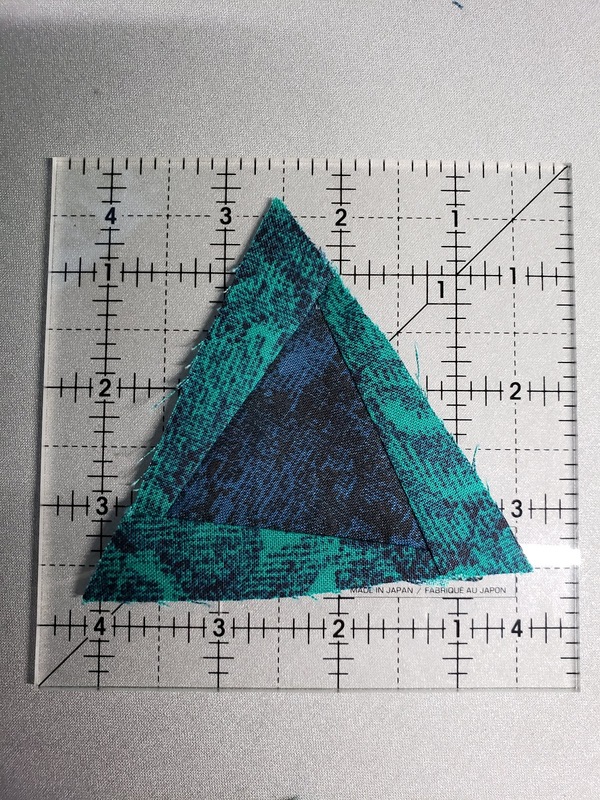 The sixth round you are to only sew on two sides. That translates to six triangles and eighteen pieces for each of the five rings and twelve pieces for the last. The triangle starts off dark and the rings get gradually lighter as Jinny does so well. 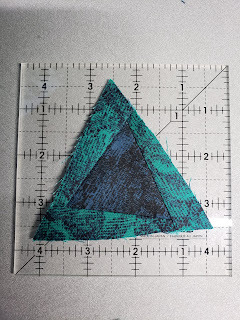 And here's a picture of one triangle on top of a ruler to give you any idea of the size. So tiny! And now it's time for me to get busy cutting out the next 18 segments for the next ring. Wonder how big these are going to end up?